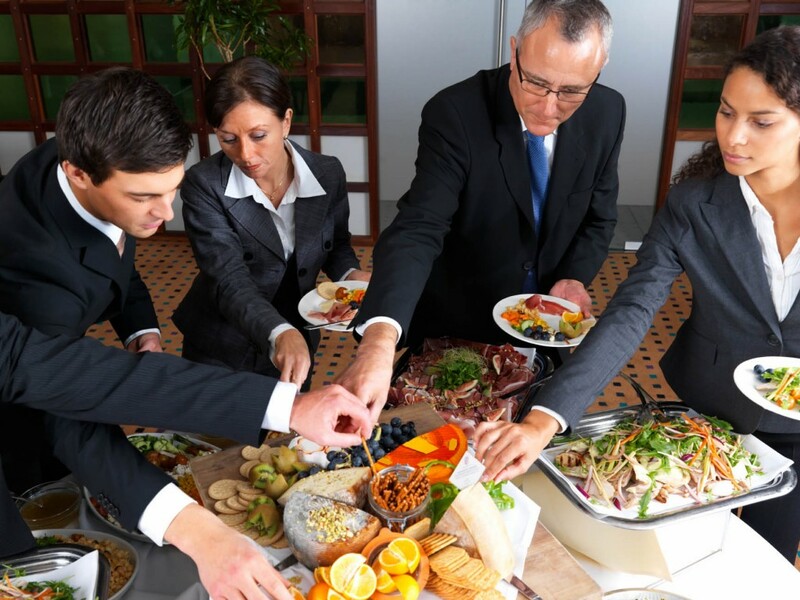 Home › Blog › Why Outdoor Catering Is Good For Business Meetings? We know long drawn business meetings take up a lot of time and may stretch right from breakfast, lunch to dinner hours. On such occasions food cannot be sidetracked as it will have adverse effects on the members with some of them leaving abruptly for lunch or meals besides causing decreased productivity as members start losing their train of thought during breaks. The best solution is to hire a business catering service which takes care of all these problems so the organizer can sit back and enjoy the benefits which are outlined below. One of the reasons in hiring a business catering service in a huge meeting will be to impress a VIP who may be the company chairman or an important business client. There is a lot of strategic importance in positively influencing such personalities that may be critical to the progress or even the survival of a business. A good business catering service can yield positive results by way of providing excellent food to all concerned. A business catering service will have several years of experience cooking different cuisines and can serve any kind of food very professionally to a large mass of people. Caterers prepare a large variety, including regional dishes which can be used by companies to impress their international clients or VIPs. They know the major considerations that shape a good event menu. Outdoor Catering is very easy to order. All outdoor catering services have websites that display their menus and respective prices. They can be contacted through phone, fax or even online. A telephone call to the preferred caterer can get you a date, time and menu complete with all details. One of the major reasons why companies are hiring caterers to take care of their corporate functions is that everything goes out hassle-free. This is the process of making the meals, planning a menu, buying the ingredients, cooking them and presenting them in a beautiful – professional manner and finally cleaning up after the guests move out, all these are done efficiently by the external service provider. A business catering service provides the best meal experience for the company and its guests irrespective of the type of the meeting. There is intense competition in the catering industry; companies therefore need to have smart strategies in place to deliver a high level of customer satisfaction. Despite good credentials, great trust is required in securing a catering job. Word of mouth advertising is very important to build clientele. Every guest at an event can be a future client. A good caterer’s job is not only preparing the food, they are also into many innovative services. They can handle tasks such as decoration, table arrangements and clearing. The capability to deliver a full range of services will give outdoor catering service providers a big edge over others by showing their depth as well as the willingness to go the extra mile to satisfy their clients.